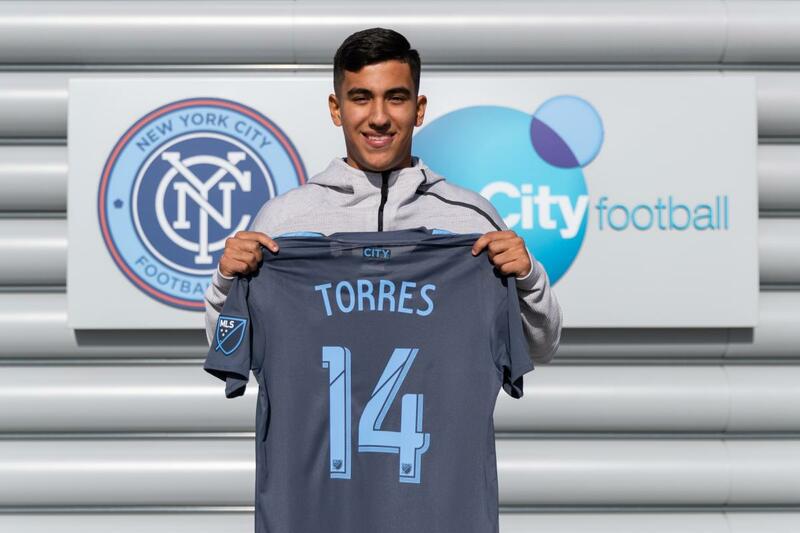 From the top tier of Belgium soccer with KSC Lokeren to US Soccer the 19 year old midfielder is now with NYCFC and a multi year deal upon finalizing all paperwork. He left his native state of GA and headed out to Belgium with Lokeren in 2017, getting a pair of games with the first team as he departed club team, Georgia United. Torres exclaimed, "Signing for NYCFC Is a special moment. When NYCFC offered me a deal-it was an easy decision. I'm looking forward to learning from Coach Torrent and his technical team." He grew through many age groups with the USNT program starting with the U-14's and a national camp in 2014. Of late he was key in the US getting their World Cup qualification at the U-20's in Nov, captaining the squad v St. VIncent & the Grenadines with 4 goals and 3 assists as they took the Concacaf title. NYCFC Sporting Director Claudio Reyna said this of Torres, " In Juan Pablo we are adding a dynamic midfielder. He's had tremendous success in the US youth National team. It's importan for our club to continue to develop and sign young, American players with an eye towards the future." Juan Pablo has shown he is more than capable of playing across the middle of the field and will add more options to the that area this season. HC Torrent stated, " Juan Pablo is a yong American midfielder. He'll be fighting for first team minutes. This marks the 3rd member of a USNT to join NYCFC in this offseason joining Keaton Parks on his loan out of Benfica & Justin Haak, also the 3rd Homegrown for the club.